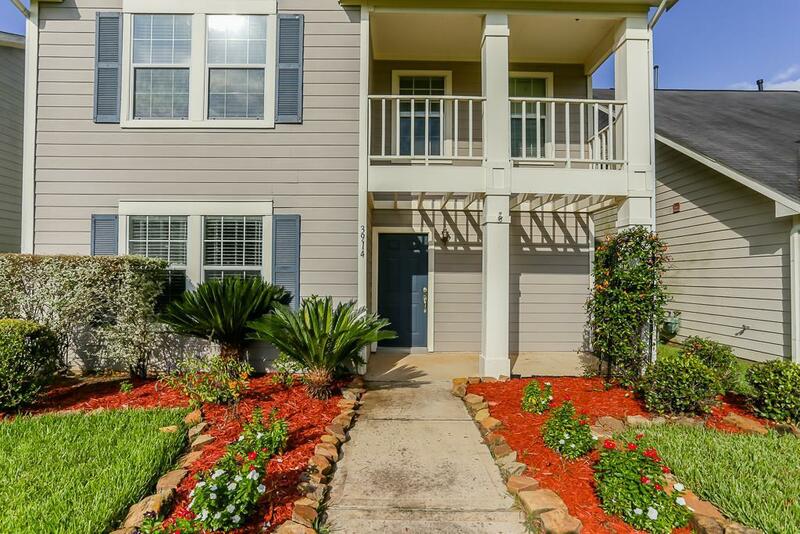 Beautiful home offers park-like views of lake with fountains & fabulous trees. 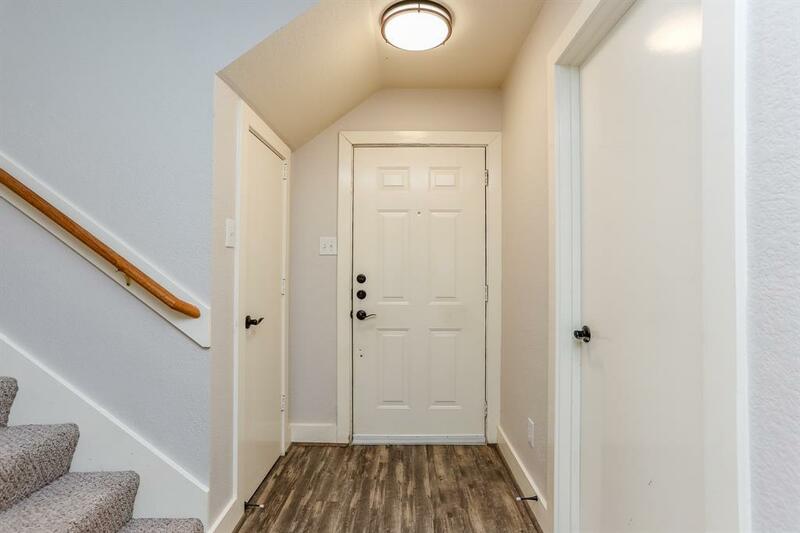 Open & flowing floor plan features beautiful interior paint with neutral color selections, updated lighting, double-pane windows with blinds throughout & gorgeous vinyl plank hardwood floors on the first floor. Formal dining room opens to spacious living room with large windows overlooking backyard and leads to large kitchen and breakfast room. 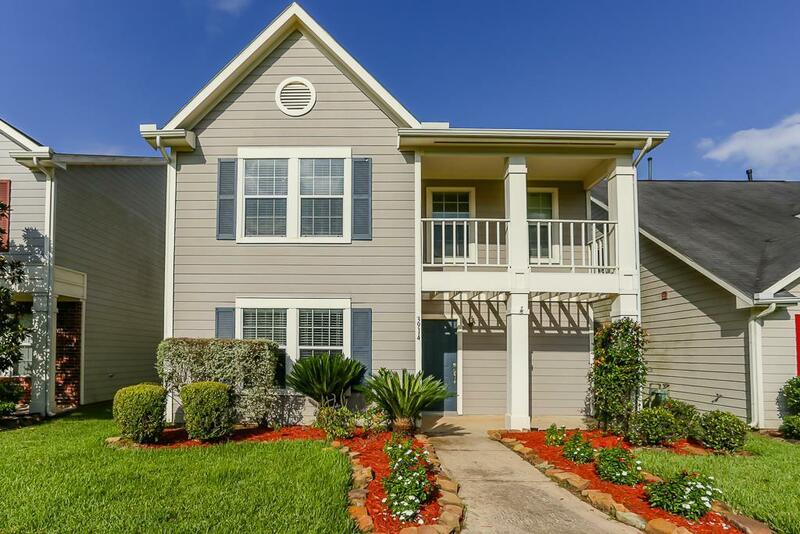 Gourmet kitchen touts wood-stained cabinets, stainless steel appliances including gas range and refrigerator with a glass door to fenced backyard and two-car garage. First floor master suite includes large walk-in closet and master bath with dual sinks, garden tub and separate shower. 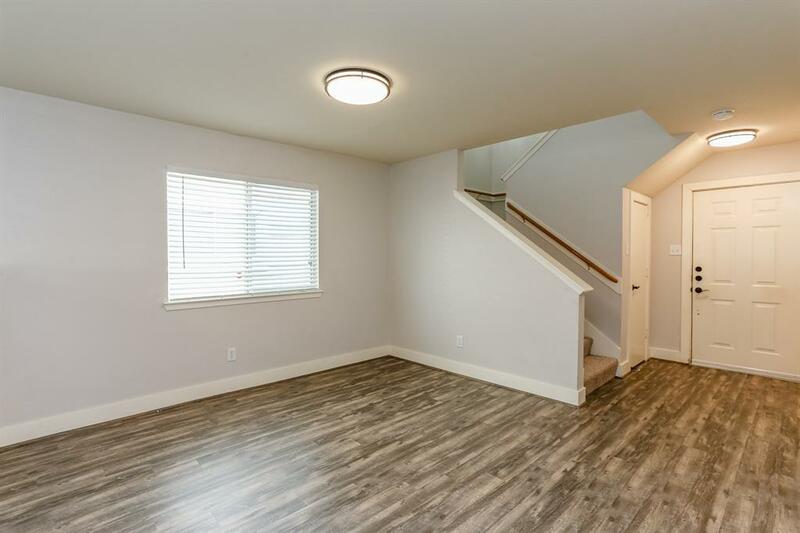 Light-filled staircase with chandelier lighting leads to secondary bedrooms with second full bath and large game room with storage closet along with utility room with full-size washer & dryer, storage cabinets and folding counter. Don't miss this beauty!